Many Wranglers' side mirrors are attached to the doors, but what about in the summer when you want to take those doors off? 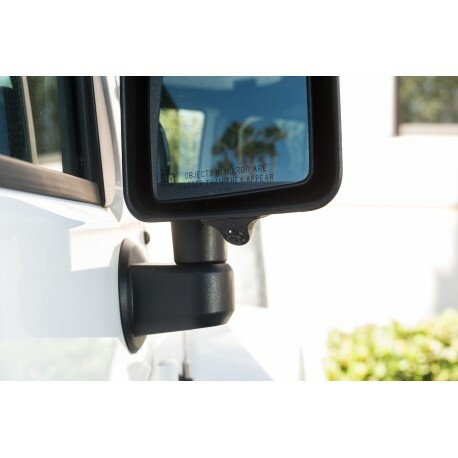 Our side blind spot cameras allow you to retain your side view, even without your mirrors. For select 2013-2016 Chrysler/Dodge/Jeep/RAM vehicles with 5" or 8.4" screens. 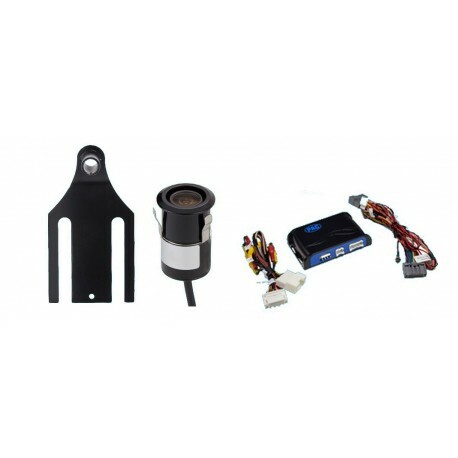 Mini-lip mount camera (PCAM-201-N) and blind spot cameras (PCAM-BS1-NSET), integrated harness and PAC interface module included. 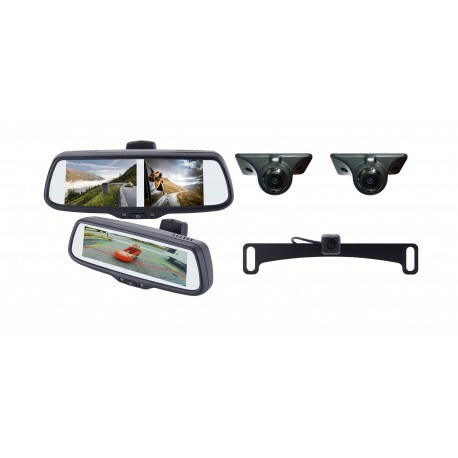 For select 2013-2016 Chrysler/Dodge/Jeep/RAM vehicles with 5" or 8.4" screens. 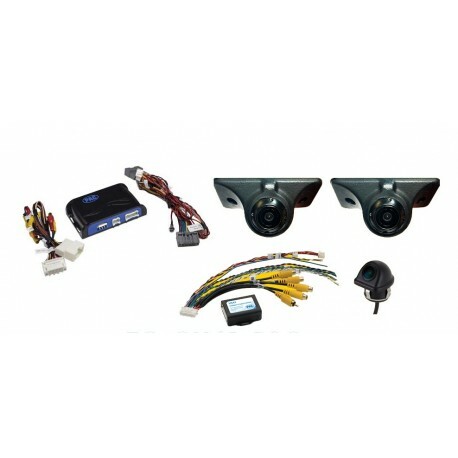 Two side blind spot cameras (PCAM-BS1-NSET), integrated harness and PAC interface module included. 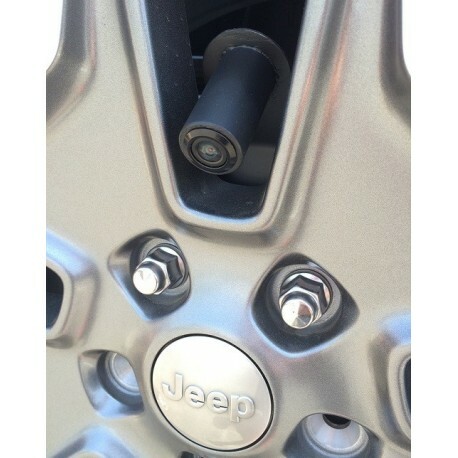 Extend your rear vision with a spare tire mount reverse camera, built for Wranglers. 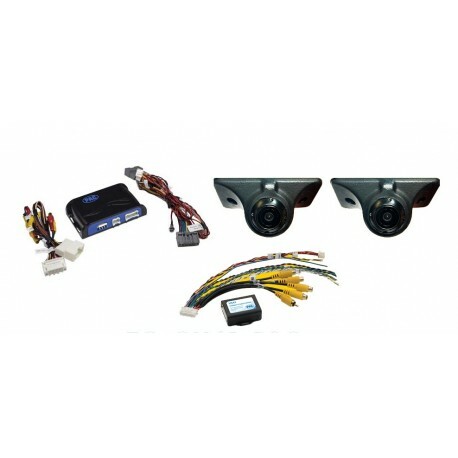 Transform your Wrangler's spare tire with this spare tire mount reverse camera with integration harness. Defy any parking situation with triangulation technology. Front and rear parking systems simplify maneuvering into even the trickiest spot.